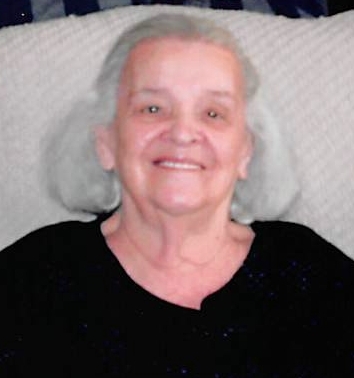 age 93, of Martinsville, Ohio, passed away early Sunday morning, November 18, 2018 at Clinton Memorial Hospital in Wilmington. She was born March 4, 1925 in Idaho, Ohio, daughter of the late Rev. Emmanuel Layton and Emma Jane (Palmer) Woods. On May 20, 1941, she married Sherman Humphrey, who passed away in April of 1985. Nellie was a member of Martinsville Friends Meeting and a former member of the New Vienna Senior Citizens Center. She was a housewife, babysitter and seamstress for many years for the David Adair Company and Designs by Lea Ann. Surviving family members are her daughter, Barbara "Jeanie" (William) Ross of Wilmington, two sons- Richard (Susan) Humphrey of Blanchester, OH, son, David Humphrey of Martinsville; two grandchildren, Angela (Scott) Burmeister and Keith (Jenny) Humphrey, and six great-grandchildren- Cole Burmeister, Alexa Burmeister, Travis Burmeister, Leo Humphrey, Harlow Humphrey, & Luke Humphrey. In addition to her parents and husband, Nellie was preceded in death by her two sisters- Hazel Woods Whitt, & Dorothy Woods Satterfield and four brothers- Archie, Charlie, Harley, & Ernest Woods. Funeral Services will be held 1:00 PM, Saturday, November 24, 2018 at the Fisher-Edgington Funeral Home, 97 West Locust Street at North Mulberry Street, Wilmington with Pastor Nancy McCormick officiating. Interment will follow in the Clinton County Memory Gardens, Wilmington. Friends will be received from 11:00 AM until the time of services on Saturday, November 24 at Fisher-Edgington Funeral Home, Wilmington. Contributions may be made to the Martinsville Friends Meeting, 112 E. Main St. Martinsville, OH 45146 or a charity of one's choice. To sign the online guest book, go to edgingtonfuneralhomes.com.